Our bathroom is one of those rooms I feel totally overwhelmed with tackling - whilst I'd love a new floor and suite, at the moment that isn't really financially possible. So instead of ripping everything out, I've tried to do what I can solely with accessories. It's also quite a small space, so I've gone for a very simple design to make sure this tiny room doesn't become too over-cluttered. I recently went for afternoon tea with my family, where I stumbled across the cutest ladies' (I really should have been more interested in the cakes than the loo, I know!) which gave me some inspiration. Seriously though, how pretty is this?! I think the main focus of the tea-room loo is obviously the stunning faux flower display, which I've attempted to recreate with this large vase from Dunelm to create a feature on the side of the bath. I've filled it with my current obsession - faux eucalyptus stems - they're really reasonable at £8 a stem, and are some of the best quality fake foliage I've come across, so would definitely recommend them. My main purchase for this room was these ladder shelves from IKEA (unfortunately they're now discontinued, but you can find a similar set here). They fill this space perfectly, and are the ideal spot to display accessories and items in a very simple, but effective way. I've added some artificial greenery and candles, whilst flannels, and loo rolls stored away in a basket, and I filled some large IKEA jars with cotton wool balls and shells. After searching high and low for a bath shelf, of which I'd seen so many beautiful ones on Instagram, my husband managed to track me one down on Amazon, which I've styled with some White Company toiletries, some cotton pads stored in a beautiful glass jar I picked up from Sainsbury's, and yet another succulent, of course. In the future new flooring and baht panel is definitely on my list, however for now I'm quite happy with how this has turned out, and definitely proves that you can refresh a room just with accessories! 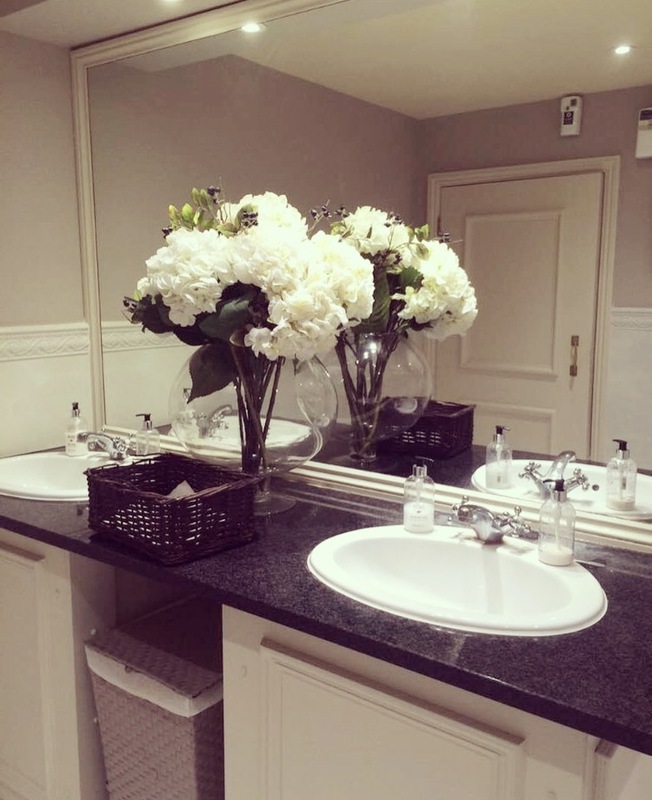 What are your tips for giving a small bathroom a makeover?